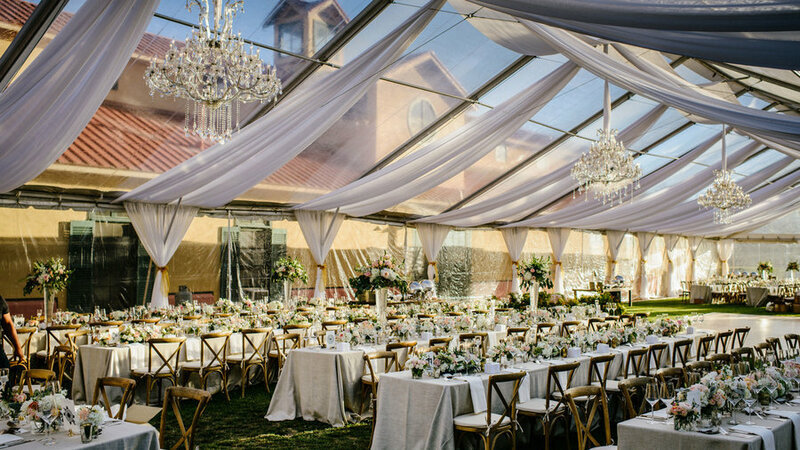 Finding the perfect wedding venue is one of the most important challenges you’ll face in the months prior to your big day. Whether you’re dreaming of an enchanted forest-themed wedding or a classic formal affair, your venue will become the backdrop for both your ceremony and reception (and official wedding photos). Thankfully, there are plenty of stunning locations in the West that can accommodate any type of celebration. Lush green fields and olive-lined paths give way to beautiful vineyards at Cornerstone, nestled in the Carneros region between Sonoma and Napa counties. 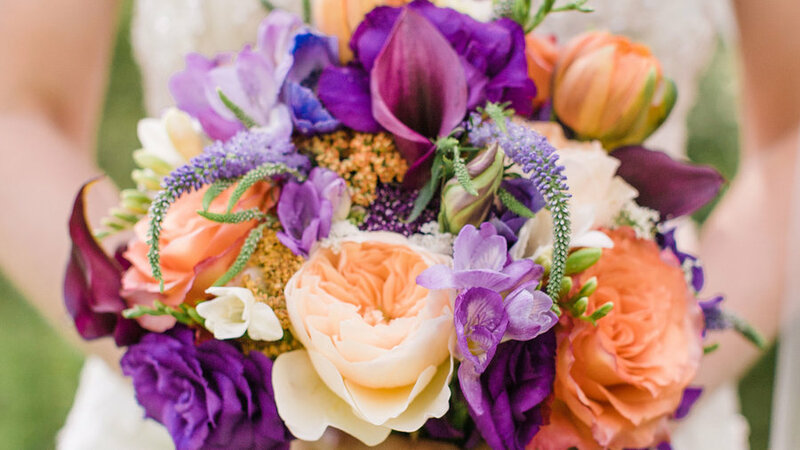 Have an elegant rustic celebration in the romantic white-washed barn or throw the quintessential California vineyard wedding by the serene pond with the rolling hills of Carneros behind you. 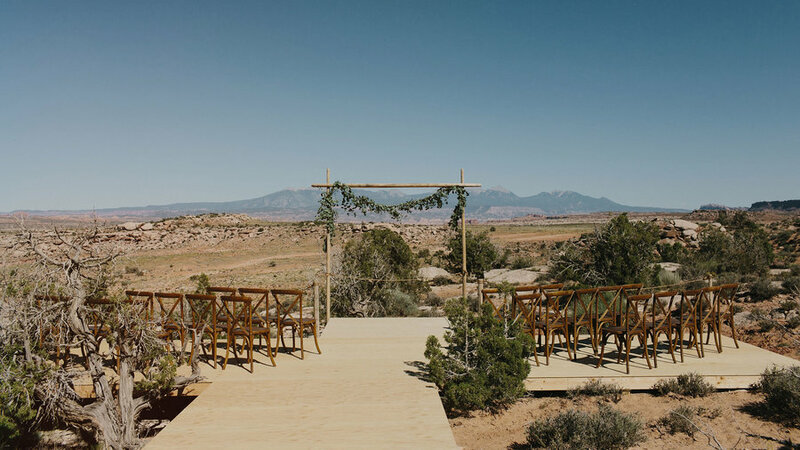 Say "I Do" amidst the stunning colorful scenery of Arches and Canyonlands National Parks in Utah’s desert. The shades of pink and red against the deep blue sky make for the most romantic backdrop. 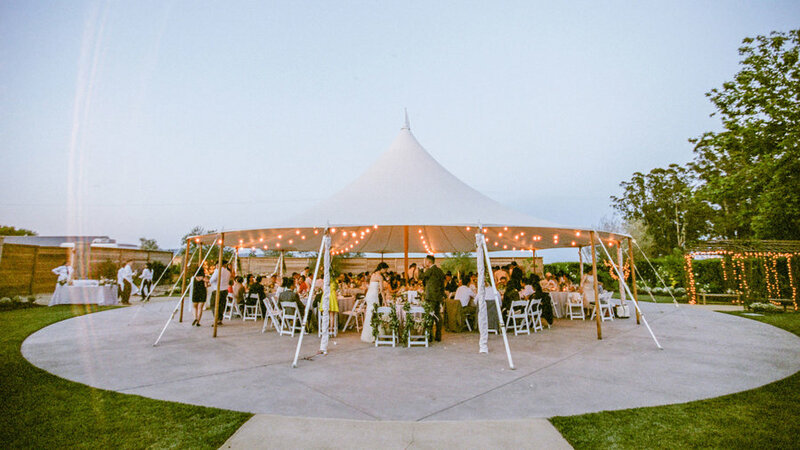 Moab Under Canvas' are perfect for a boho-inspired reception and the luxury tents ensure you don’t miss any of the most essential conveniences (and luxuries) of the modern world. The Woodmark, located just outside of Seattle, is the only hotel on the picturesque shores of Lake Washington so it’s only natural that you take full advantage of the beautiful views it offers of Seattle’s skyline. 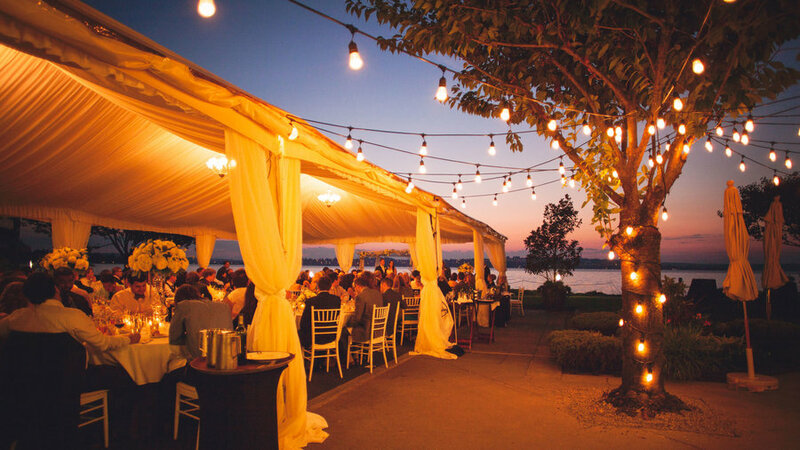 The lakeside Olympic Terrace tent, also overlooking the Olympic Mountains, is a favorite spot for wedding receptions, where you can host up to 250 guests. If you’re getting hitched in the cooler months, the resort will provide heaters and transparent wall panels so your wedding party can enjoy the unobstructed views. 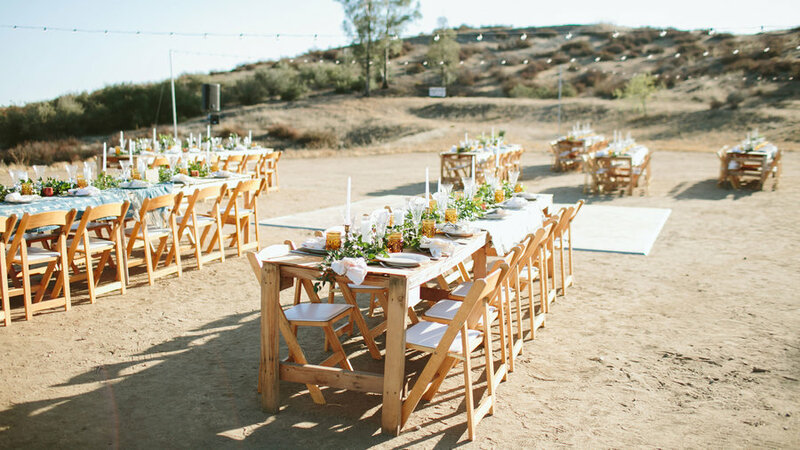 Tucked away in the picturesque Southern California countryside, Wolf.Feather.Honey Farm is every boho bride’s dream wedding location. The 20-acre compound is part pistachio farm, part raw hilltop landscape that will wow your guests with its enchanting rustic charm. It can seat up to 150 guests with another 150 standing, and its owners will let you take full creative control of the setting, décor-wise. 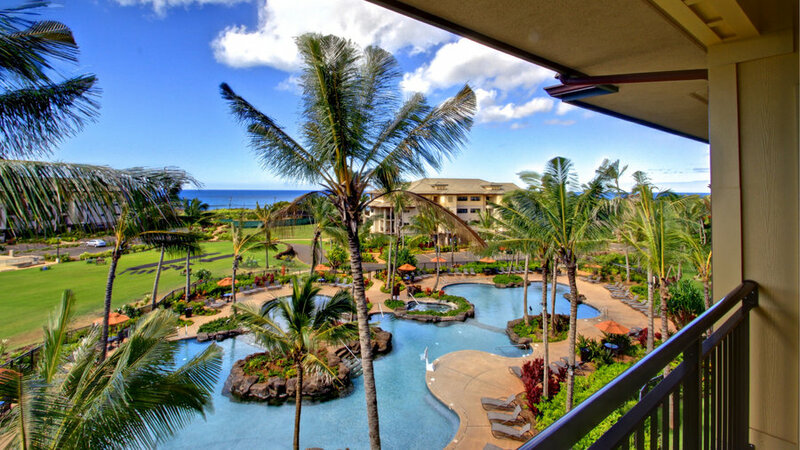 There is nothing more romantic than celebrating your love among the lush emerald valleys, tropical forests, and cascading waterfalls of Kauai, Hawaii’s oldest island, dubbed the “Garden Isle.” Located within walking distance from the excellent Po’ipu Beach (perfect for a quick photo sesh), Koloa Landing Resort, part of Autograph Collection, offers more than 16,000 square feet of beautiful nature and multiple indoor and outdoor wedding venues for you to choose from. This historic building in downtown Denver once headquartered the metal fabrication company Midwest Steel & Iron Works and dates all the way back to 1897. 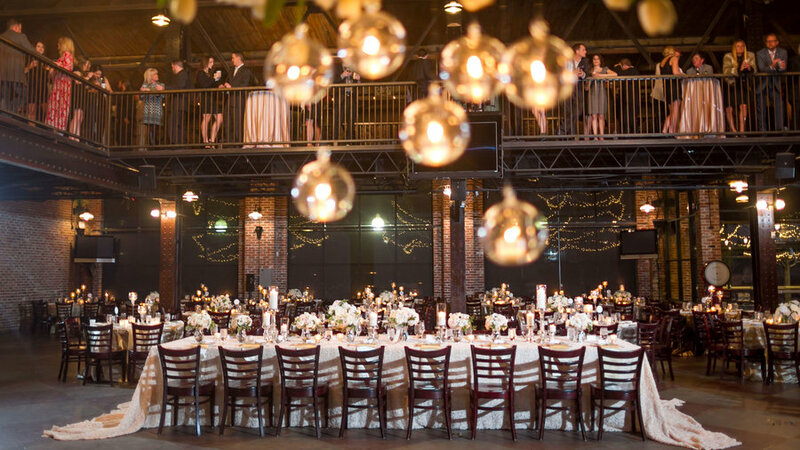 After a careful renovation, many of the original features were kept so you can expect a lot of rustic, industrial elements such as exposed-brick walls, steel columns, and even some of the original equipment—resulting in a spacious, wonderful backdrop for a chic, urban wedding. Set on a 30,000-acre working cattle ranch in the heart of Wyoming’s famed Platte River Valley, Brush Creek offers both an authentic Western setting and modern luxurious amenities (including a spa). Picture unspoiled wilderness, lush forests, and mountaintops that not only make for a breathtaking backdrop for your nuptials, but also offer a variety of fun activities for your guests, such as horseback riding and fly-fishing. Anything we could say about the spectacular scenery Alyaska Resort has to offer would be a serious understatement. All four seasons show off the area's natural splendor, but getting married here in the winter is the ultimate fairy tale experience, especially if you’re lucky enough for the Northern Lights to dazzle the dark sky. 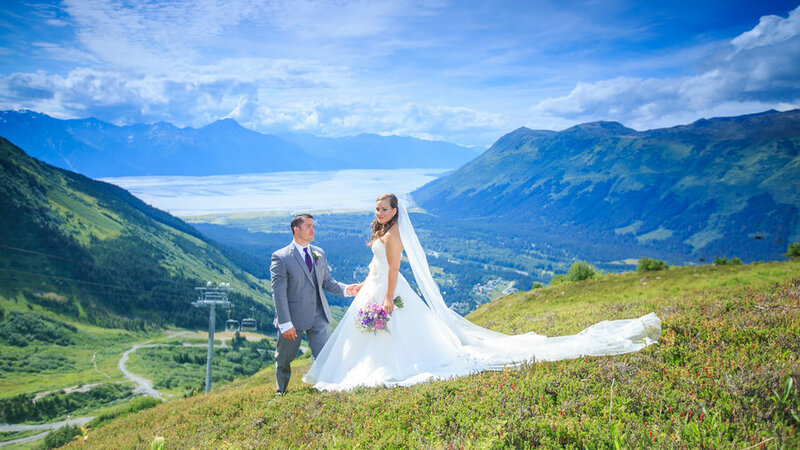 The resort has four venues: two ballrooms perfect for larger receptions, a patio, and a mountaintop restaurant with panoramic views that will completely blow you away. 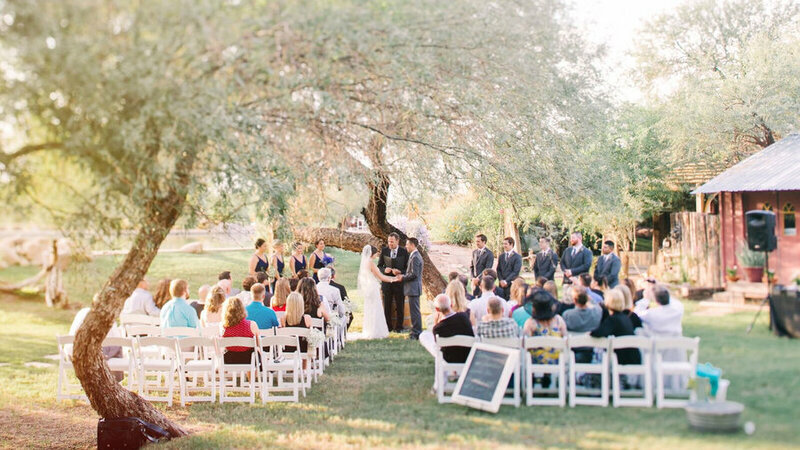 Set in the foothills of the Cascade Mountains, the Sunriver Resort boasts more than 45,000 square feet of exceptional venues that can accommodate weddings for up 600 guests. The crown jewel on the property has to be the enchanting Great Hall. The exposed beams and the all-wooden spacious interior are completely breathtaking—just what you need for an authentic rustic mountain celebration. 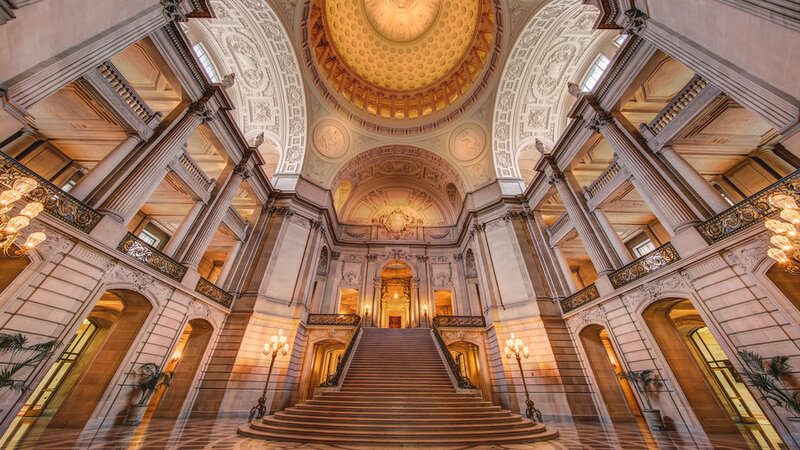 San Francisco’s majestic city hall became a symbol of resilience after the 1906 earthquake destroyed the original structure. The beautiful Beaux Arts-inspired building is available for evening weddings on weekdays and weekends, and is the perfect setting for an elegant black-tie affair. Imagine exchanging vows on the Grand Staircase before dancing the night away as husband and wife in the stunning rotunda. 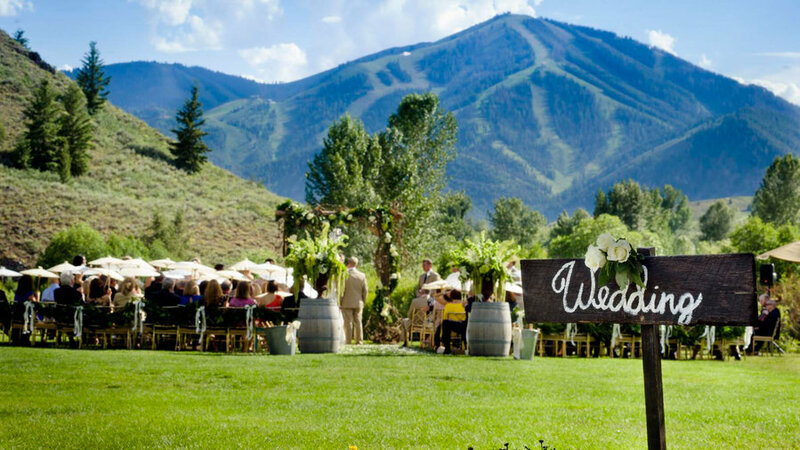 Turn your wedding into an enchanting fairy tale at Sun Valley, located in one of the country’s most beautiful mountain ranges. The resort offers multiple wedding venues, including the cozy Trail Creek Cabin (think classic mountain décor and rock fireplaces) or the elegant and spacious Limelight Ballroom. Of course, the views of the stunning mountains, covered in snow in the winter and in lush greenery in the summer, are what makes Sun Valley a truly magical place. 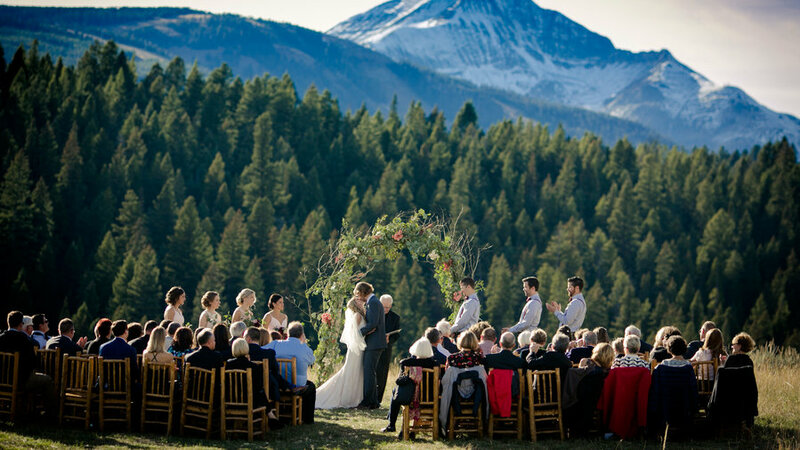 This picture-perfect venue located in the scenic town of Big Sky will charm you with its authenticity and classic ranch-style accommodations, emblematic of the American West. With multiple indoor and outdoor event spaces to choose from, Lone Mountain is perfectly suited to your wedding celebration regardless of the season or weather. This historic venue dates back to 1906, when it started out as the state’s first family-owned brickyard. Nowadays, it’s a true (wine) oasis in the middle of the Arizona desert. For an elegant lakeside celebration, opt for the Lake House which has a romantic pier. 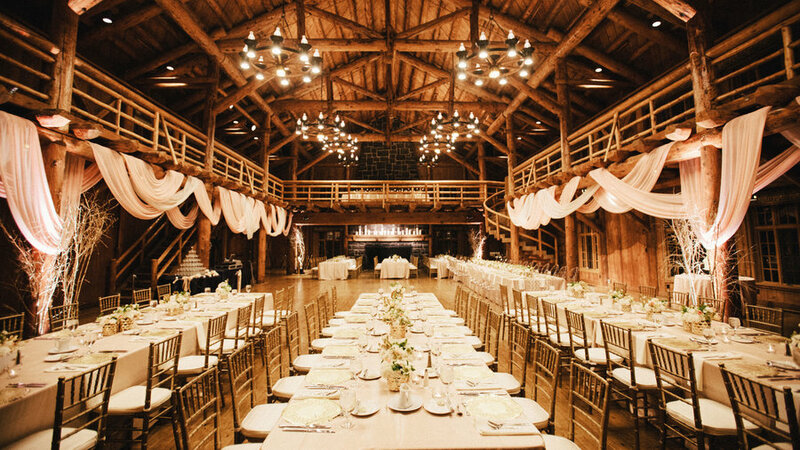 Or if you dream of a wedding that pays homage to the West and the Midwest, look into the majestic Big Barn that was moved board by board from its initial location in Wisconsin. 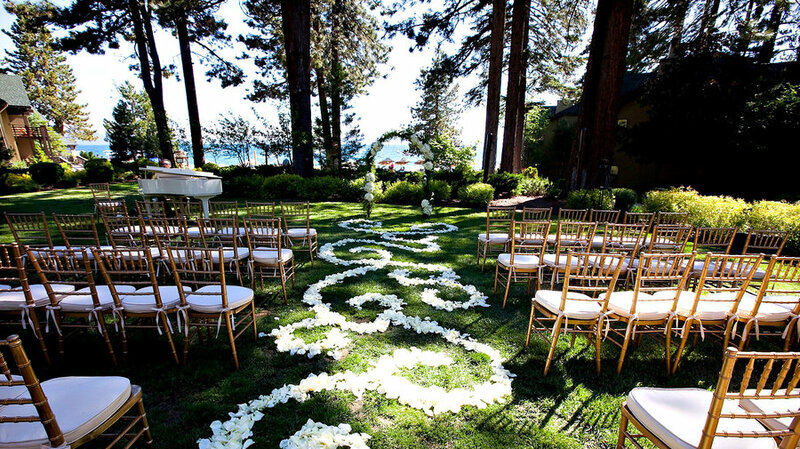 If you like the idea of a destination wedding with a side of gambling, skip the bright lights of Las Vegas and opt for Lake Tahoe's stunning natural scenery instead. 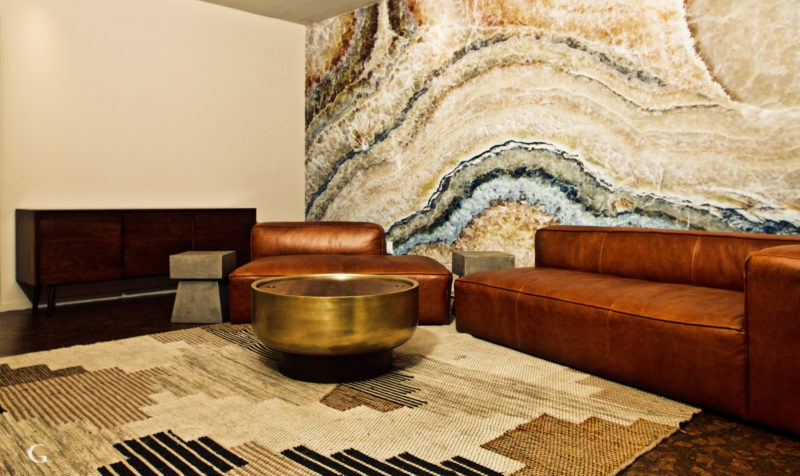 You won't even have to compromise on luxury amenities. This lakeside resort offers a venue for any type of wedding—a private lake beach with sweeping views of the mountains for an intimate beach ceremony, a beautiful lush garden for the ultimate spring celebration, or a grand ballroom for the glamorous black-tie wedding of your dreams. 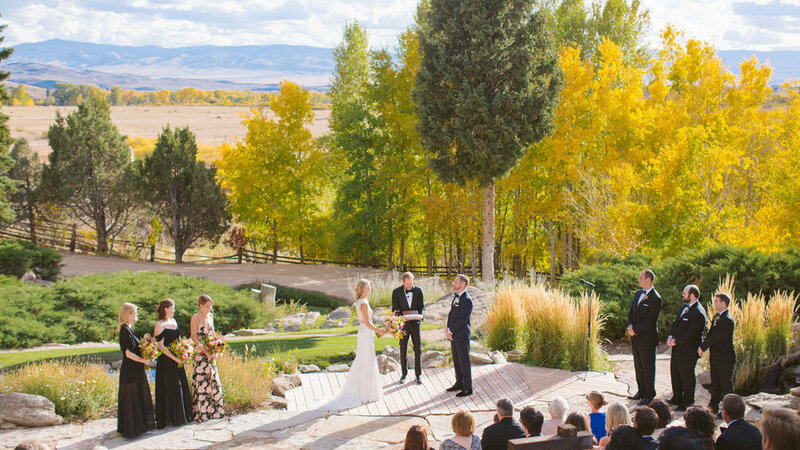 La Mesita sits on 140 acres of beautiful land just outside of Santa Fe and offers stunning ceremony sites all over the property. Picture romantic fountains, hidden courtyards, gardens, and lush green lawns. And with an equestrian center, a huge swimming pool, and a pond on-site, there are plenty of activities to keep your guests busy during your wedding weekend. 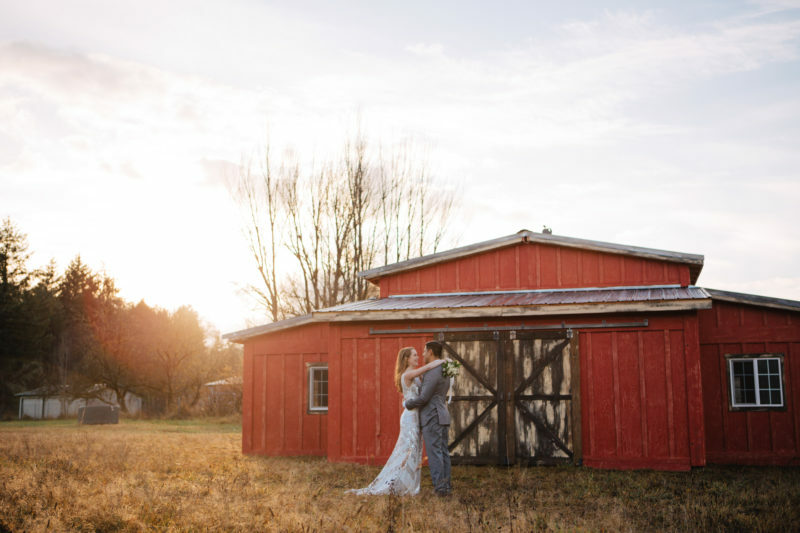 Dreaming of a barn wedding but don’t quite live in farm country? This venue will come to you! Tentwood’s pop-up barn is a portable, traveling event space. You provide your location of choice and Tentwood will install and break down the 1,000-square-foot barn. Tentwood perfectly strides the line between stylish and charmingly rustic, and the space can comfortably seat 100 people. Tentwood is currently serving Washington State exclusively. This raw event space prized for photo shoots and celeb events is essentially a blank canvas on which you can create the wedding of your dreams. For lovers of urban industrial style, Goya Studios offers a variety of spaces to suit your guest list size and comes equipped with full-service kitchens, private dressing rooms, lounges, and more nooks for you to prep for your special day.